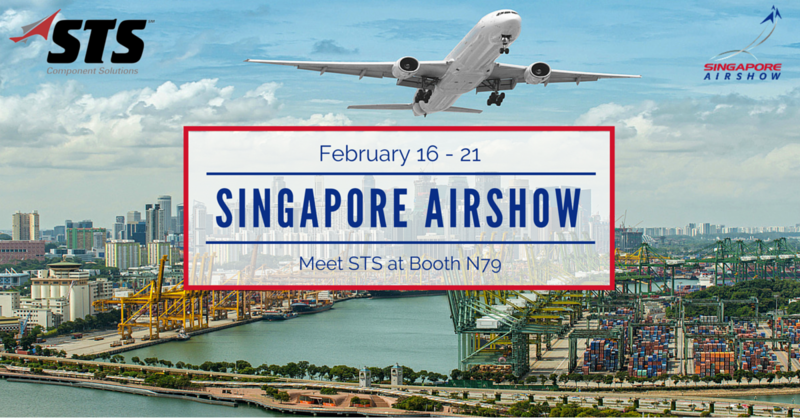 STS Aviation Group is proud to announce that it will be exhibiting at booth N79 during the 2016 Singapore Airshow. The Singapore Airshow gathers top contacts within the commercial, government and military sectors of the global aviation industry and brings them together for one incredible event. Set to take place at Singapore’s Changi Exhibition Centre on February 16 – 21, the event features the Singapore Airshow Aviation Leadership Summit, which will engage 274 prime delegation contacts from around the world. During the event, guests can take in static displays, exciting aerobic flying displays that will feature the A350, United States Air Force, Republic of Singapore Air Force and many more. If you’re in the market for an aircraft, customer demonstration flights will also be given. In addition, industry-related conferences, business forums and training seminars focusing on innovation and recent developments will be held throughout. Another exciting area to visit on-site will be the Aerospace Emerging Technologies Zone. Here you can gain prime access to the latest and greatest tech advances within the aviation industry. You can also stop by the Training and Simulation Zone and witness military training techniques, all made available by hands-on simulation systems. Jerome Kan and Edward Shaffer, both of STS Component Solutions, and Nina Hodges of STS Air-Pro, will be on the ground at booth N79, located within the International U.S. Pavilion. Visit the team and learn more about the aircraft and engine components we offer to a growing network of global customers. You can also stop by and get the details on the hose assemblies and kits we manufacture to support your commercial, military, MRO and aerospace requirements. We look forward to seeing everyone in Singapore and hope to make this another memorable airshow experience!